General Mills is holding a contest to give away 10,000 boxes of Lucky Charms filled with only marshmallows. 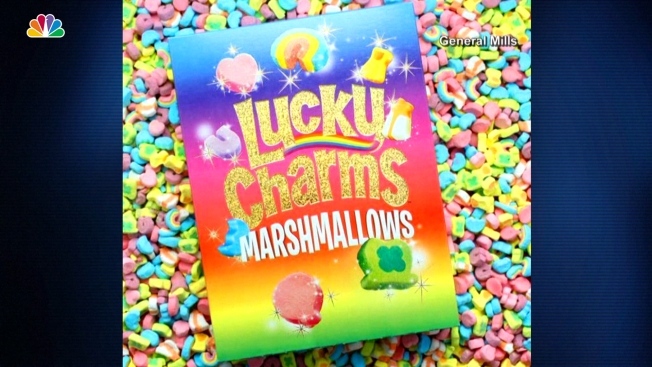 For fans of one classic cereal, your dream has come true: Lucky Charms is giving away boxes full of just marshmallows. General Mills announced that, starting this month, 10,000 boxes of the sweet treats will be available. You can enter the drawing for one of the coveted limited edition items by entering a 14 digit code found on normal boxes sold in stores. After entering the code at MarshmallowOnly.com, you are eligible for the contest that runs through December. In 2015, a similar promotion was organized with just 10 marshmallow only boxes. The appeal to nostalgia comes as cereal makers are battling a trend toward products with healthier ingredients like yogurt and energy bars, Adweek reported. According to General Mills' most recent annual report, cereal sales were down 1 percent in fiscal year 2016. That percentage grows to 4 percent when compared to 2014 sales.